Hello Refashion Co-op. 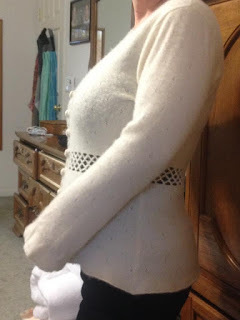 My project today is a cozy warm cashmere sweater. My mother-in-law gave it to me. There is a problem. Look at those arms, they are full at the wrist and too long. They hang over my hands and it is impossible to do anything. They won't stay rolled up, believe me, I tried. 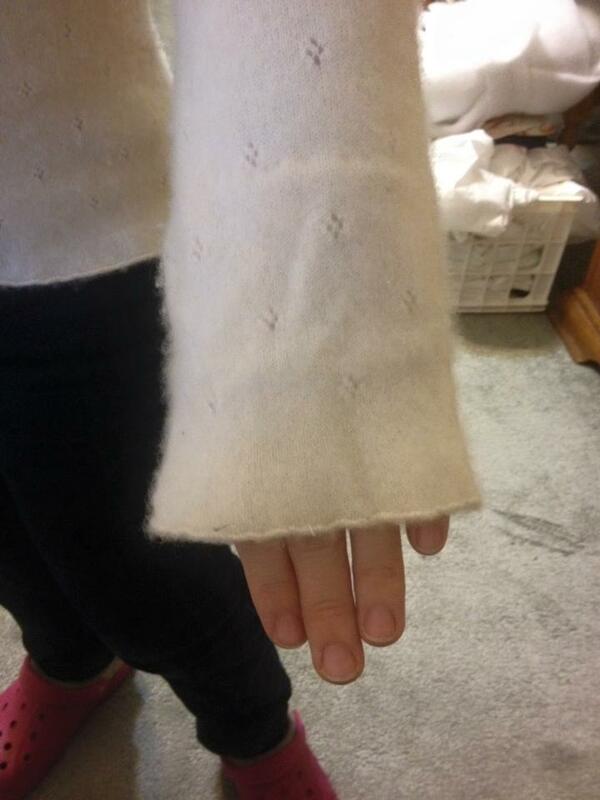 I did alter the sleeves and it was very easy. My machine stitched through the sweater like a warm knife through butter. 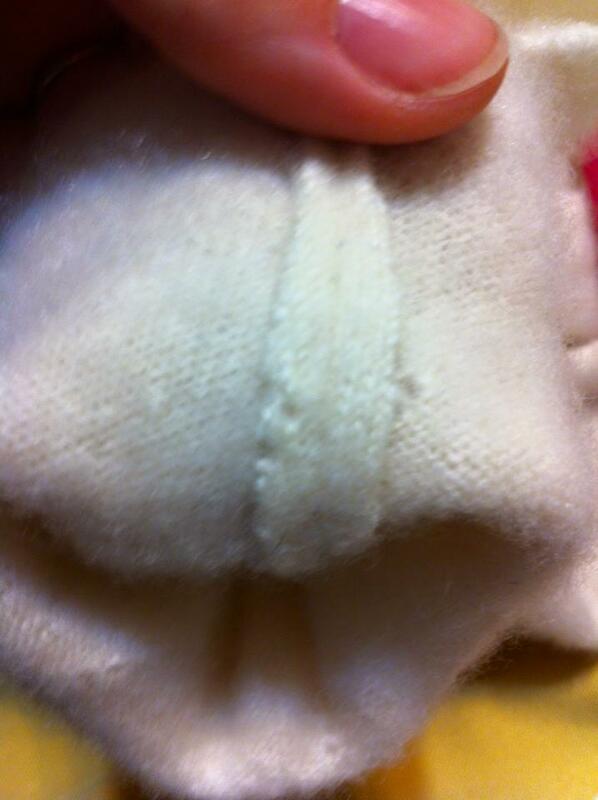 The inside seam didn't fray when I cut off the excess fabric. That was my fear, fraying. I thought it might start to unravel. For more details or pictures go to I Can Work With That. 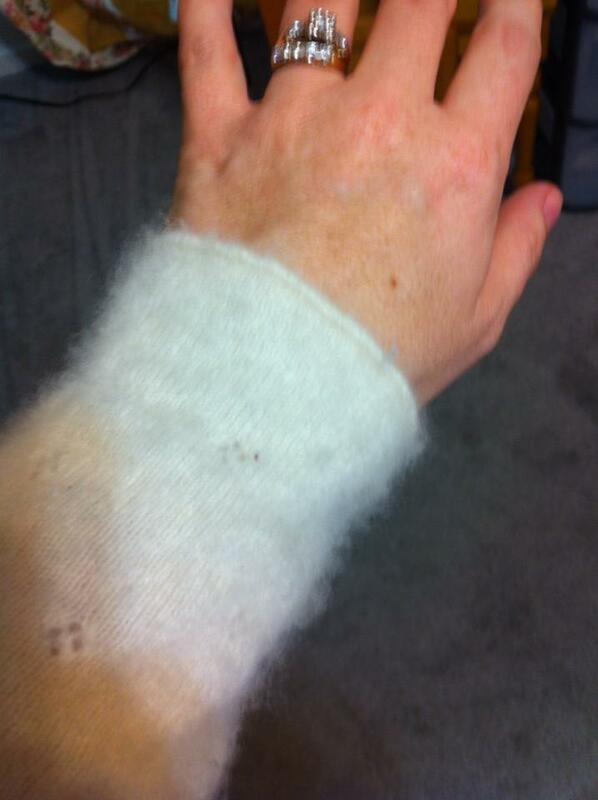 Good to know cashmere works well with a sewing machine. Great fix. I was curious, so I took a chance. If it unraveled it would have been a sad blog post. "Sweater Fail".